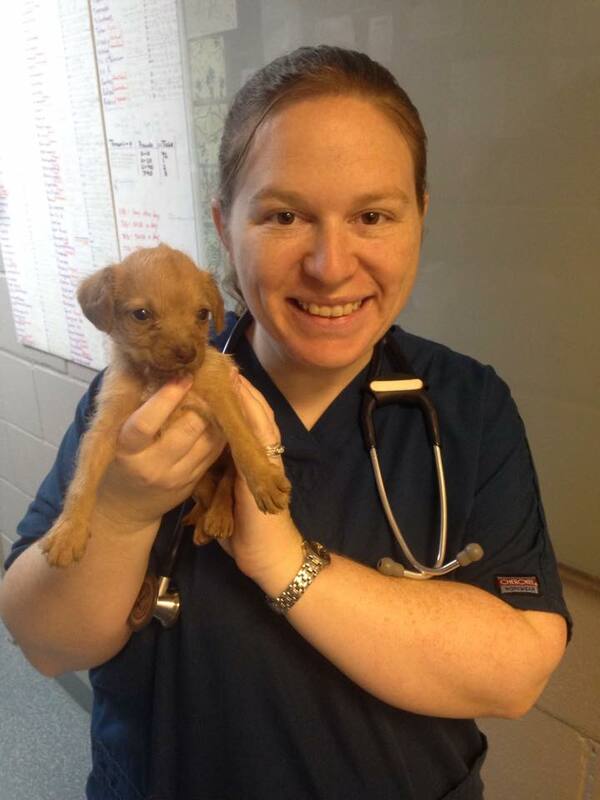 Shelter veterinarian saves pregnant, injured dog found in parking lot – and her puppies, too! 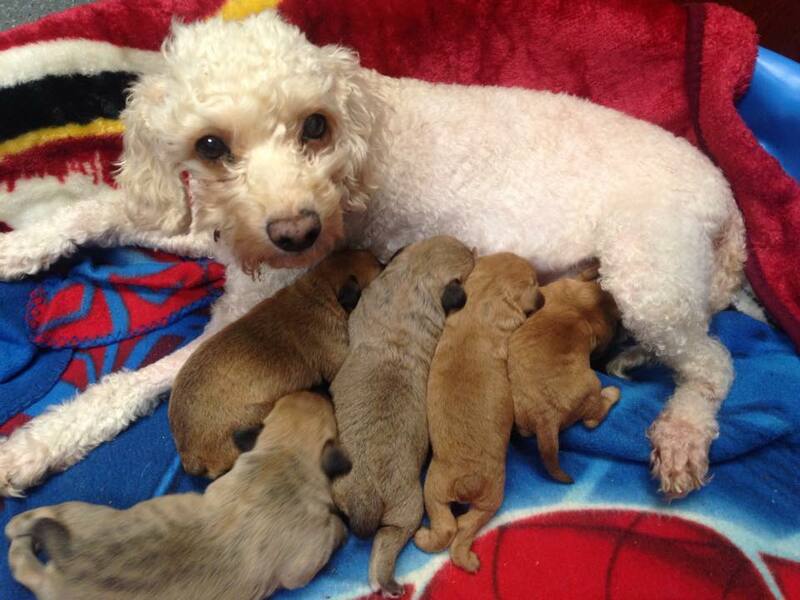 Even suffering from cataracts and a broken leg, Gypsy nurses her 5 healthy puppies. Gypsy was found in the shelter’s parking lot in rough shape: she had a broken leg, cataracts, and she was about to give birth to six puppies. When the puppies arrived, one was born with a cleft palate. This canine family needed a shelter medicine veterinarian! Dr. Blackwelder with Paulina, who needed around-the-clock care. 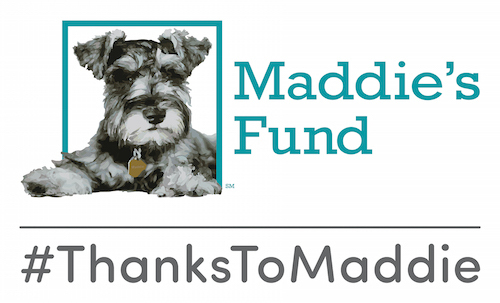 Maddie’s Certificate in Shelter Medicine alumna Dr. Lauren Blackwelder spent four weeks providing nursing care and tube feeding for the special needs puppy, dubbed Paulina, and continues to monitor the family’s progress. The 5 healthy puppies are headed for adoption shortly, and Gypsy, after treatment for her conditions, is becoming a permanent member of her foster family. When little Paulina is old enough for the surgery, she will travel to UF specialists for her cleft palate repair. This happy beginning wouldn’t have been possible without a veterinarian trained in medical management for a shelter and its foster homes. “It’s unfortunate that Gypsy and her puppies found themselves in this situation, but I’m definitely glad to be in a position to be able to help,” said Dr. Blackwelder.